From beginning of this year, gold mobilizing interest rates at commercial banks continued to climb, three to four times higher than dollar deposit interest rates. Many experts said that in this context, the State Bank of Vietnam will lower Vietnamese dong interest rates this year; after the movement that banks raised gold mobilizing interest rates had encouraged people to hoard the precious metal. In the last three months of last year, gold mobilizing interest rates continually escalated from 1 percent per annum in September to 3.7 percent per annum by the end of last year. At the beginning of this week, Saigon Commercial Bank continued to raise gold mobilizing interest rates to 4.35 percent per annum, through certificates, from the previous interest rate of 3.7 percent. Accordingly, with 8 taels of gold, clients might receive a maximum interest rate of 4.25 percent per annum for a two-month term, and 4.55 percent per annum for a six-month term. On January 3, Eximbank also ran a promotional program in which clients with 10 taels of gold or more will receive an interest rate of 2.5 percent per annum for a one-month term. Other small and medium commercial banks also increased their gold mobilizing interest rates to 2.5-3 percent per annum. Increasing gold mobilizing interest rates is a solution to diversify their operations and backup plans in urgent situations. When banks need to improve their liquidity, they can use gold as collateral for money on interbank market. They can even exchange gold into cash to make up for low liquidity as most banks face credit crunch during the year end when firms withdraw their money to pay debts, salaries, and bonus for their employees. 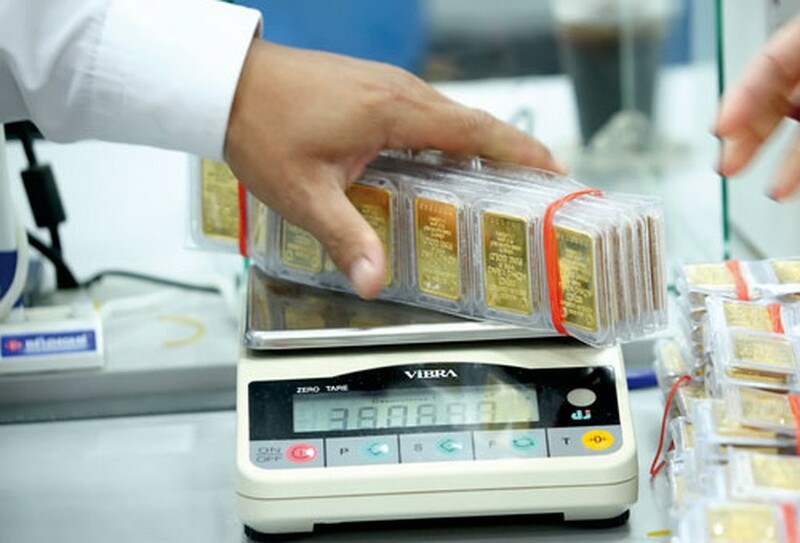 However, giving the general criteria of operations in the banking system in Ho Chi Minh City in 2011, a central bank officer at the city branch said that although the central bank ordered an end to gold mobilizing and lending, gold has not dropped significantly. By October 30, 2011, issuance of gold certificates of 14 commercial banks in Ho Chi Minh City reached VND96.12 trillion, accounting to 87.3 percent of the total mobilized capital in gold. Thus, banks should adjust gold mobilization and loans in accordance with procedures drawn by the central bank. Some commercial banks admitted that gold prices showed tendency to decline lately, prompting people to flock to gold shops to buy gold. Therefore, gold deposits increased much higher than Vietnamese dong or foreign currency deposits. Currently, the central bank only allowed some banks to change a certain amount of gold into cash. However, this solution might cause risks for banks when changing gold into cash to increase liquidity. For example, banks possibly have to make up for losses in case gold prices change sharply, leaving a wide gap when gold deposits mature. According to a bank expert, in the context that the central bank targeted to reduce Vietnam dong mobilizing interest rate to 10 percent per annum this year, a steep rise in gold mobilizing interest rates will encourage people to buy gold as a speculation. 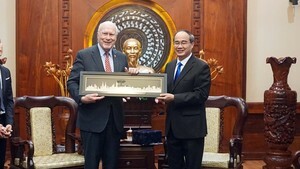 If the situation prolongs, Vietnam’s bullionization will become more serious. Thus, the central bank should strongly order commercial banks to gradually send gold mobilizing interest rate to 0 percent per annum.